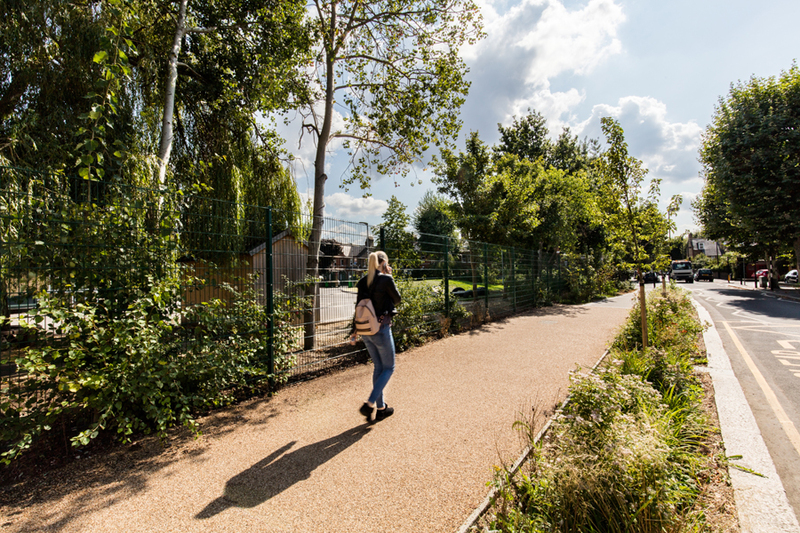 Working in collaboration with the Mini Holland team, Friends of Stoneydown Park and Stoneydown School what if: projects have prepared the general layout, consultation drawings and detailed design for an improved school route that encourages walking, cycling, and makes space for wildlife. Stoneydown Park was extended into the public realm of Pretoria Avenue, a residential street on the park’s doorstep. The team co-developed and implemented the public realm improvements outside Stoneydown Park School including a raingarden and woodland area. 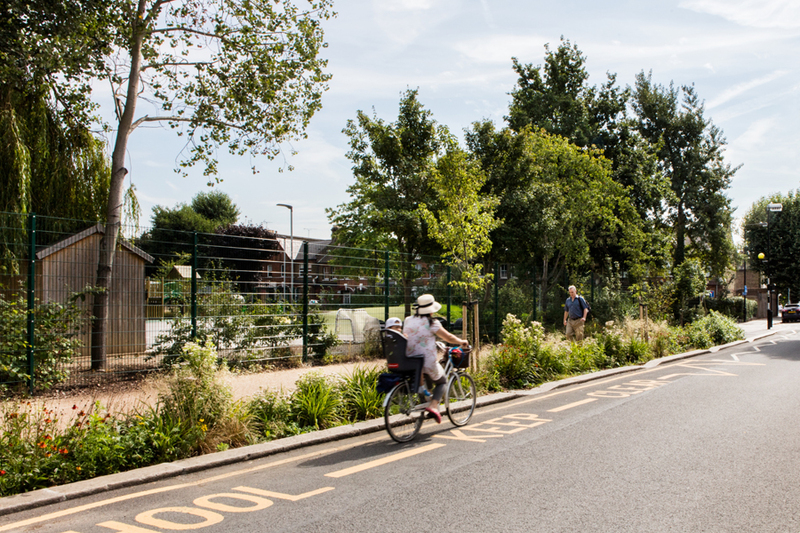 This project is one of a number of school route improvements that what if: projects helped to deliver in the Blackhorse Villages as part of the Mini Holland program. Local school children and parents took part in the planting following outside classes that introduced children to the different plant species and their specific qualities. Both the Friends of Stoneydown Park and the schools continue to look after the raingarden and woodland area.